Do you think Lucchio has changed much over the years? 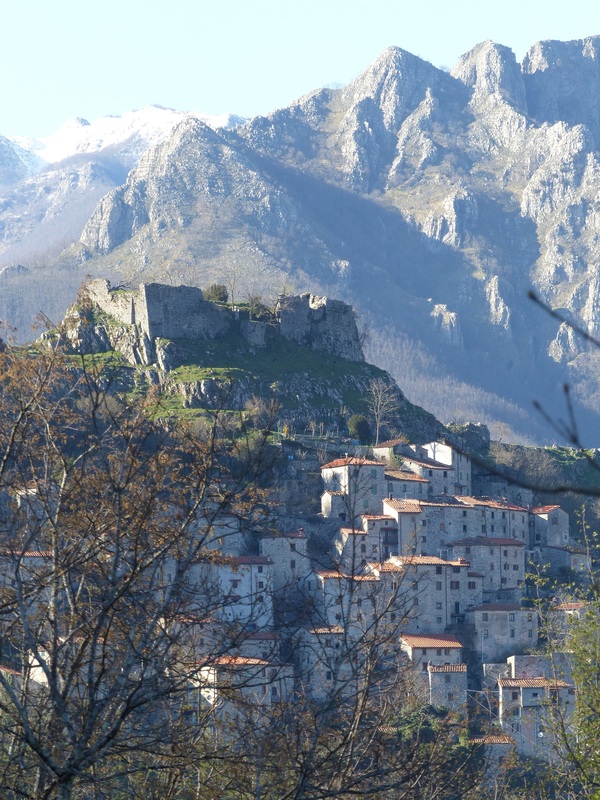 This entry was posted in The villages of Bagni di Lucca and tagged Bagni di Lucca, Italy, Lucchio, mountain villages in Tuscany, old photos, photography, travel by Debra Kolkka. Bookmark the permalink. Wasn’t a fortress at the top? … but the initial drawing is giving me impression much rock had to be removed for it. The fortress probably should have been there. Maybe the artist didn’t like it. Fascinating! I love this drawing, who drew it? I don’t know who did it. There is a signature in the bottom right corner, but it is a bit hard to read. It was done in the 1800s. 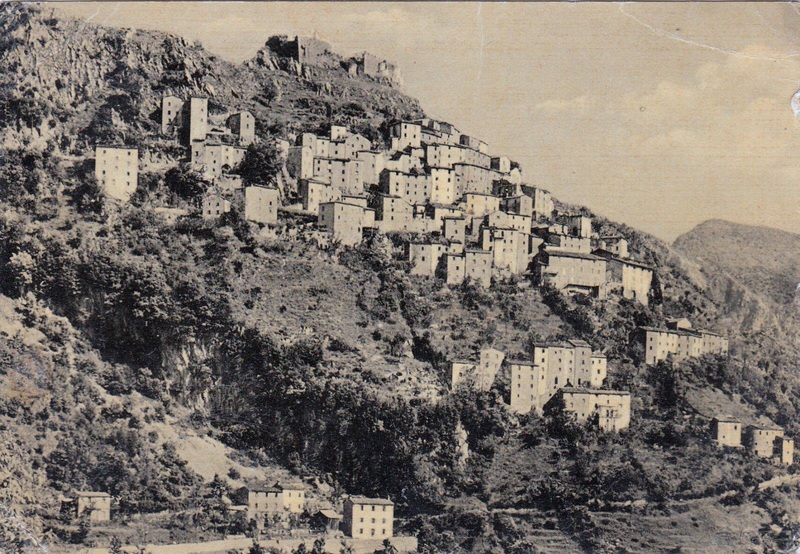 The villages of Bagni di Lucca are fascinating. This was our favorite place that we visited this past June! Thanks for bring us back to such a special time and learning more about it! Lucchio is a great village and it is really good that the bar has reopened. I must confess that I also have my doubts about the authenticity, or accuracy, of the first etching, although it is part of the Garfagnana historical archives. 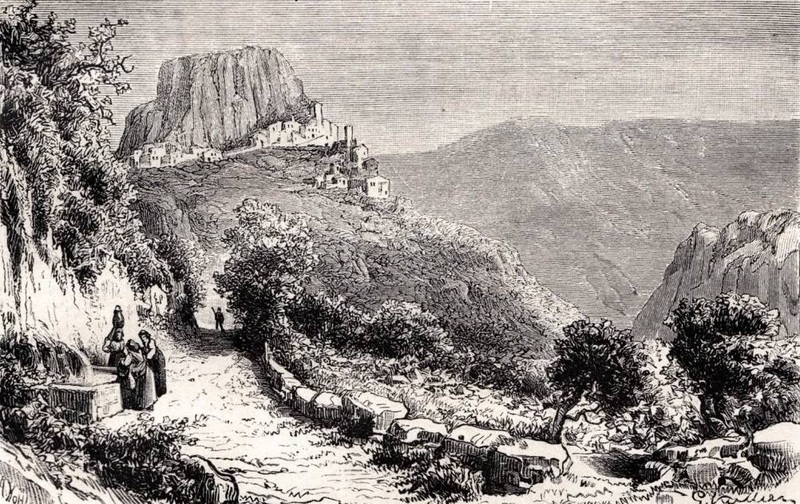 The “Rocca” or fortress cannot be seen and it is Lucchio’s most visible and important architectural feature, even if it has been vandalized over the centuries and many stones have been “recycled” to build the village. The fortress has Roman and Longobard origins, although what we can see nowadays are the remains of the castle commissioned by the Great Countess, Matilda of Canosa. It went through different hands throughout history, the Castracanis, the Luparis, the Guinigis… Until it became redundant and was abandoned. Then, little by little, or better said stone by stone, it became a ruin. But it still towers over the village and it certainly did in the 1800’s, when the town was depicted. It doesn’t seem correct that the fortress is not in the drawing. I wonder why it was left out. Ohhh….I go crazy for these types of comparisons….i love to try to really put myself in the period of the first picture and try to imagine what life was like. Great post! I think life must have been pretty tough in these places before electricity and modern transport. There are too few people living there to cultivate the land. I remember as a child 50 years ago the terraces around Ponte where my grandparents had farmlets were neat, the grass was hand cut for the domestic rabbits and the family cow, the chestnuts and olives were all harvested, and the vineyards were well maintained and made into wine, and the walking tracks were well used, clean and tidy. It was picture perfect. Unfortunately those hillsides are no longer viable as farms, but it is still a very beautiful place and the poverty has gone. It is a pity that the farms haven’t been maintained, but I understand why. People work in other areas now and probably have better lives. Depending on a small farm to survive would never have been easy. Lucchio is a very special part of the world. Hi Debra, where did you find the middle photo?It is very interesting to us as you can see the house that is now the ruin on our piece of land. I think I got it from the book of old postcards. The book is in Italy and I am in Australia. The library in La Villa could possibly have some old photos for you to look at next time you visit.